It’s easy to learn how to cook shrimp with shrimp recipes being so quick and easy to prepare, it’s no wonder they’re a popular weeknight dinner option. Learn all the tips and secrets for getting the best results when cooking shrimp! With shrimp it usually takes less than 30 minutes to go from freezer to table! Understanding how to cook shrimp properly will help you make shrimp dishes that are great for easy and last minute meals, such as Honey Garlic Shrimp, Shrimp Boil, Pad Thai and Teriyaki Shrimp. Shrimp is generally really easy to cook, and there is a style of shrimp and a shrimp recipe to suit everyone’s taste. You can also cook shrimp based on the following techniques/equipment, cuisines and seasonings. This is one of the most commonly used way to cook shrimp, and often the fastest. 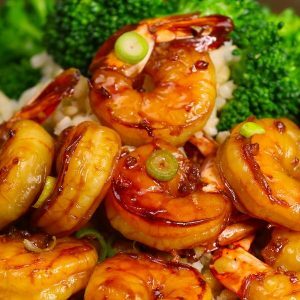 Popular recipes using this technique include: Honey Garlic Shrimp, Teriyaki Shrimp, Blackened Shrimp and Garlic Butter Shrimp. For this method, you need to place a non-stick pan or skillet with oil over medium-high heat. Once oil is hot, add shrimp (or seasoned shrimp) and sauté for 1 to 2 minutes each side until shrimp turn pink and start to curl up. 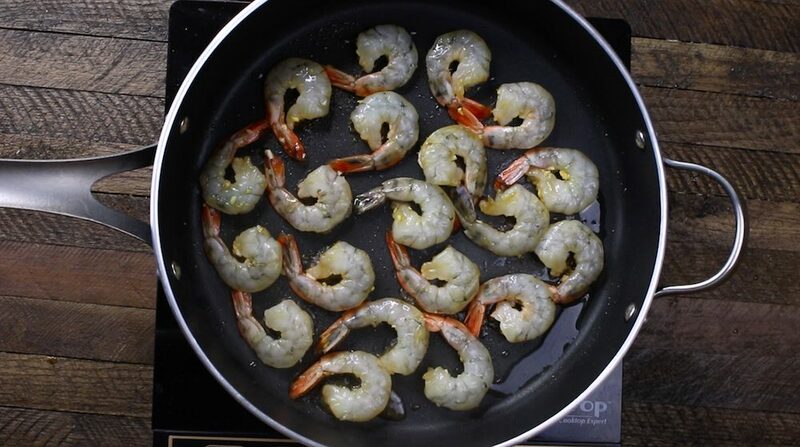 Baking shrimp on a sheet pan in the oven is another common way to cook shrimp. You can find more information on how to bake shrimp in our Sheet Pan Baked Shrimp Fajitas recipe. If your dish includes other vegetables, usually you need to bake those vegetables first and then add shrimp at a later stage. Bake them at 400°F for 7-8 minutes until they turn pink and start to curl. Deep frying shrimp is not as common as the two methods above, but produces a crispy texture that is so delicious and found often in restaurants. Bang Bang Shrimp is a popular item on Bonefish Grill’s menu. The cooking technique starts with coating the shrimp, and then deep frying them in at 375°F for 1-2 minutes until golden brown. Coconut Shrimp is a popular appetizer at both Red Lobster restaurant and Outback Steakhouse. The shrimp are coated with coconut and bread crumbs and deep fried at 375°F for 1-2 minutes. Boiling is an easy and simple way to cook shrimp, and is used for Shrimp Boil, Shrimp Salad and other recipes. With this technique, you need to boil the water and add other ingredients. When everything is cooked, add shrimp. Stir and cook for 7-10 minutes. For more information, take a look at our Easy Shrimp Boil. Shrimp works beautifully for barbecuing and grilling. The basic technique is to start by brushing the shrimp with oil, add seasoning and grill for 2 minutes per side until the shells turn hot pink. Shrimp can be cooked at High pressure for just 1 minute in Instant Pot. An example of this is our Instant Pot Pad Thai recipe. 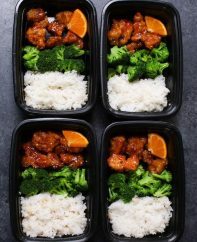 To microwave shrimp, place them on a plate or bowl and microwave on high for 3-4 minutes, stir/flip and microwave another 3-4 minutes per side. 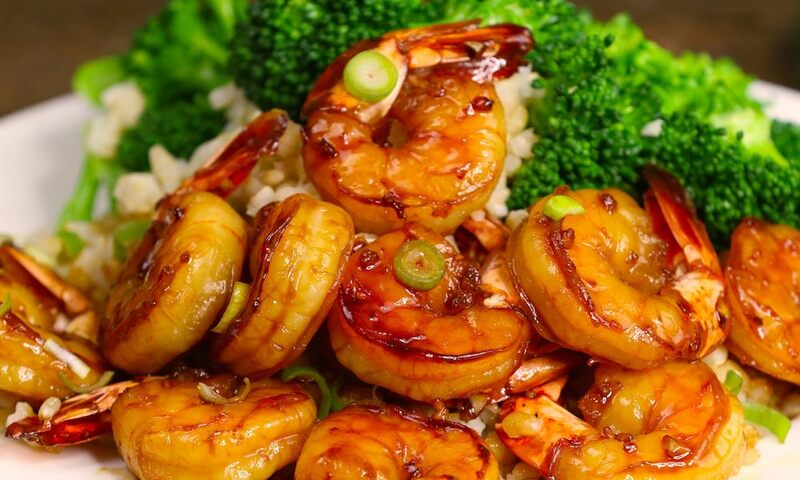 Brushing with oil will help to keep the shrimp moist in the microwave. There are a few steps that are important for cooking shrimp properly, regardless of techniques used. If your shrimp is frozen, you’ll need to thaw them before cooking. An easy and fast way is to place the frozen shrimp in a colander in the sink and let the cold tap water run through the shrimp. Alternatively you can place them in a bowl of cold water for 10-20 minutes. Here is detailed information on How to Thaw Shrimp. 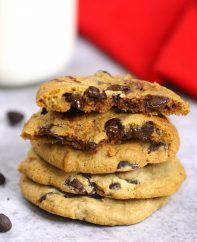 Remember to always pat them dry with paper towel to remove excess moisture before cooking. As you know now that you can stir fry, bake, grill, boil shrimp or even use instant pot. Follow instructions properly, and keep in mind that cooking time for shrimp varies slightly for different sizes. Smaller shrimp are cooked faster than larger shrimp. Shrimp tastes best when it’s properly cooked. It should taste firm and slightly chewy. Over-cooked shrimp are rubbery and too chewy. Most raw shrimp are grey and translucent. As they cook, they start to turn pink and opaque in color and curl up in shape. You can buy both raw or cooked shrimp, but just keep in mind that most recipes call for raw shrimp. Depending on the recipe, you may need a specific shrimp size, peeled vs. unpeeled, tail-on vs. tail-off etc. You can find the guidance on how to buy shrimp here and it’s worth checking sustainable recommendations from Seafood Watch provided through the Monterey Bay Aquarium. Shrimp is one of the most popular dinner recipes, and is used in cuisines ranging from American to Tex Mex, Mexican, Thai, Chinese and Japanese dishes. My favorite shrimp recipes include Shrimp Fajitas and Shrimp Pad Thai. Another easy recipe is Garlic Butter Shrimp: In a large skillet, melt butter over medium-high heat. Add minced garlic. Cook 1-2 minutes until fragrant. Add thawed shrimp and season with salt and pepper to your taste. Cook until shrimp starts to turn pink. Add in more butter and lemon juice. Stir until butter is melted and everything is well tossed. Remove from heat. 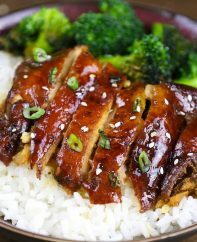 Serve with rice or pasta and enjoy! Thaw the shrimp, pat dry with paper towels and set aside. Add 3 tbsp butter to the pan followed by minced garlic and chopped parsley. Sauté 1-2 minutes until fragrant, stirring with a wooden spoon. Add shrimp and season with salt and pepper to your taste. Cook until shrimp starts to turn pink, about 2 minutes on each side. Add in the remaining butter and lemon juice. Stir until butter is melted and everything is combined. Remove from heat. Serve with rice or pasta and enjoy.